Apogee Digital have been pioneers in conversion, clocking, and digital filtering technology since 1985. Their product lineage began in the late eighties with their 944 series digital filters. This was augmented in the nineties and culminated in their ground-breaking convertors the PSX1000 and AD8000. Since then, Apogee have been at the, well, apogee of conversion technology and are considered among the very best in the field, alongside names such as Prism Sound, Lavry, Digital Audio Denmark, Crane Song and Lynx vying for position as the world's best. Their comprehensive range now caters for top-end professionals and bedroom hobbyists. In the former category, the Apogee Symphony I/O is their flagship convertor system. 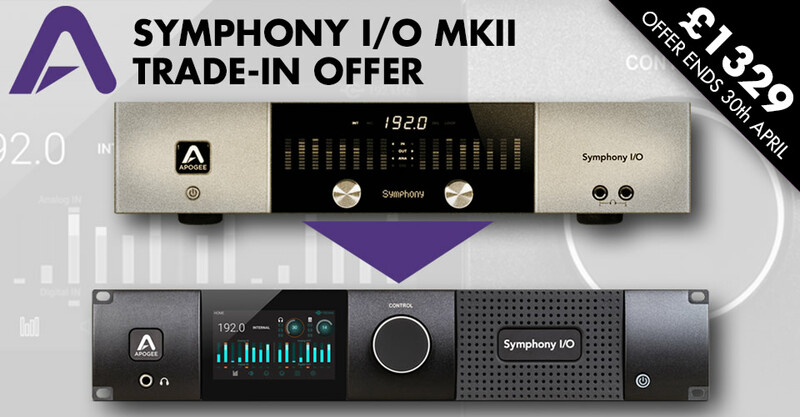 Offering a range of IO and connection options, the Symphony system has found its way into many serious recording studios and we consider it to be among the best conversion and interface solution on the market today. They also offer some mid-level, though still high-end, interface solutions for serious recordists and amateur recording enthusiasts, including the Quartet and Duet interfaces. Apogee also have options for portable iOS devices like the One, Jam and MiC. KMR Audio are Apogee's official technical support centre in the UK, helping out any user of Apogee gear with any technical question or issue they may have. We are therefore closely affiliated with Apogee and can offer the best pre-sales or after-sales service on their entire range. We have it all on demo, and in stock, so please contact us with any Apogee query.